While Super Bowl 50 could set another TV viewership record, the audience that matters most to advertisers–adults 18 to 49–has been largely stagnant in recent years. But that may have to do more with where this crucial audience segment is watching the game, than whether they're watching it at all. For the fifth year in a row, the Super Bowl will be streamed over the Internet and on mobile phones, a tally that is not included in Nielsen's TV audience number. And while CBS is hoping most of those digital viewers will watch on CBSsports.com or its apps on connected TV devices and tablets, Verizon could steal some viewers who watch on its nascent mobile-TV service, go90. Thanks to Verizon's existing deal with the NFL, as the exclusive mobile provider for live games, Super Bowl 50 will be available to go90 customers, with a catch: While go90 is available to non-Verizon users, the NFL mobile content is not. 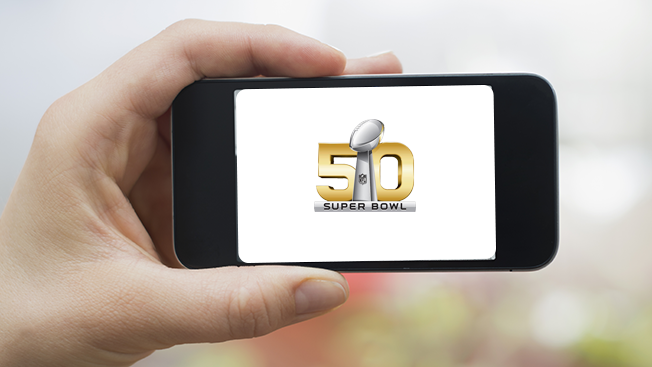 Super Bowl 50 is also available on the NFL's mobile app, but again, only for Verizon's 112 million wireless customers. As a prelude to the game, Verizon is staging concerts at the Regency Ballroom in downtown San Francisco and streaming them on Go90 Live. Hunter Hayes performed Thursday night. Fall Out Boy takes the stage tonight, and Skrillex has a set Saturday night. In addition to content from digital and traditional players like AwesomenessTV, Vice, Endemol Beyond, USA, Viacom and Discovery, Verizon is banking on viewers' affinity to stream live events on their phones. Along with the NFL, Verizon has a content deal with the NBA that includes access to its out-of-market game package. While Verizon hasn't released subscriber numbers, Fran Shammo, evp and CFO, Verizon Communications, said during their 4th quarter earnings call that the go90 app has been downloaded more than 2 million times. In January, the app had 744,000 downloads from Apple and Google Play, and 781,000 in the past 30 days, according to Apptopia. Shammo said that while go90 has surpassed early expectations, the app is at least two years away from profitability. And because go90 will stream the CBS feed of the game, Verizon does not stand to earn advertising revenue. Still, streaming the biggest game in town, for the first time, can't hurt.